Minister for Finance Michael Noonan has claimed that the EU Commission's ruling over Apple's tax operations in Ireland was an "attack on our corporate tax regime". Mr Noonan said Ireland's tax regime was the envy of Europe. His comments come after the Cabinet agreed to appeal the commission's ruling that Ireland had supplied illegal state aid worth €13bn to Apple. The decision was taken after a half-hour Cabinet meeting that headed off the danger of a rift with independent ministers. The finance minister said the current ruling represented a bridgehead for those who wanted to attack our corporate tax system but he warned that we were going to stick with our 12.5%. No challenge by any commissioner would be tolerated he said, insisting that Ireland would fight the issue at home and abroad and in the courts. 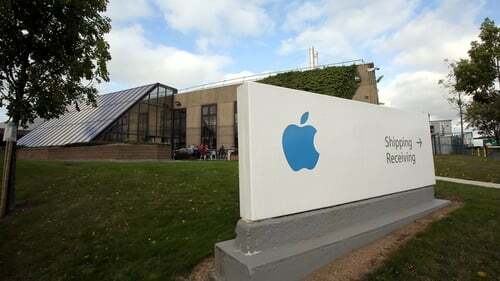 In a statement, Mr Noonan said: "Ireland did not give favourable tax treatment to Apple. Ireland does not do deals with taxpayers". Speaking to RTÉ News, Taoiseach Enda Kenny has said that he makes no apology "whatsoever" for defending the right to appeal the EC's ruling. The commission's declaration earlier this week split the Coalition, with some independent ministers initially unwilling to back a legal appeal. Independent Alliance ministers Shane Ross and Finian McGrath and independent minister Katherine Zappone had initially baulked at backing an appeal, calling instead for more clarity about multinational tax arrangements in Ireland and a special Dáil debate. Fine Gael ministers, however, argued that an appeal had to be lodged to challenge a ruling that had deep implications for inward investment. Intensive efforts to broker a deal followed, and this afternoon a Cabinet meeting agreed to appeal. The terms of the appeal will now be drafted by the Attorney General, and the Dáil will meet to debate the issue next Wednesday. The Cabinet also agreed a Dáil motion which would see an independent expert review the corporation tax system. The motion also stated that the Government should appeal the Apple ruling on the grounds of defending the integrity of the tax system, provide tax certainty to businesses and to challenge the encroachment of EU state aid rules into the sovereign member states competence to set its taxation. The draft motion also states that no company or individual should receive preferential tax treatment. "The Independent Alliance has been working with Fine Gael, our partners in Government, to deliver a decision that takes into account all of our concerns," deputy Government Chief Whip Kevin Moran said. "I feel that the motion being put before the Dáil will succeed in addressing our key concerns." 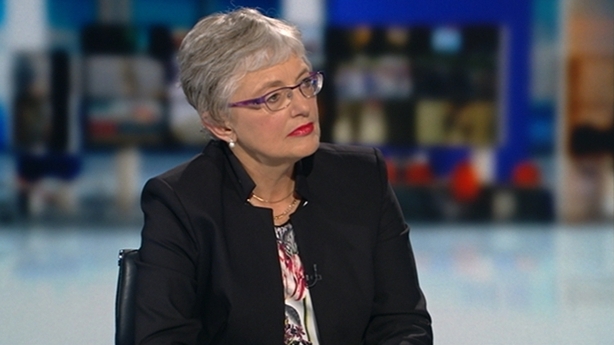 Minister Zappone has said that she agrees with some aspects of the European Commission's decision on Apple. Speaking on RTÉ Six One, she said that although it was legal, it was unethical that the company did not pay its fair share of tax. She said there was now an opportunity for other countries to "intervene and participate in our appeal in an open and transparent court of justice to determine whether or not they received their fair share." The minister said her Government colleagues had taken a very strong position, in particular to the finding that Ireland provided illegal state aid to Apple but she disagrees with this. Minister Zappone said she agreed to an appeal because there is an opportunity to look at whether the commission acted within its mandate in relation to our taxation policy and said that some certainty on this and it would influence future taxation policy. Earlier, Minster Ross said: "It has been a difficult few days for everybody but we have kept our eyes on two things. One is that the multinationals provide jobs to the economy and secondly the very important principle in the motion that multinationals should pay a fair rate of tax from now." Asked how the Independent Alliance agreed to an appeal within 48 hours of the last Cabinet meeting, Mr Ross said: "We felt there was a state of urgency because there was a state of urgency out there on the markets and among some multi-nationals. We were persuaded that it was necessary to clear up that argument as soon as possible." He claimed that they have "an extremely good deal that will reassure multi-nationals who give us so many jobs but also will ensure they will pay a fair rate of tax". Mr McGrath said: "When you are in power and in Cabinet you have to make compromises at times but the bottom line here is that we got enough in this deal to push our policies over the line and I am very proud of that." Independent Alliance Minister John Halligan earlier said it was his personal view that Apple should pay the €13bn. The junior minister at the Department of Jobs will go to his local organisation in Waterford at the weekend to consult them on the Apple issue. He said he does not want to bring down the Government and wants to remain in Government. Sinn Fein deputy leader Mary Lou McDonald said: "For most people as they have watched this story unfold it is an obscenity that €13bn of taxes could have been avoided by this corporation and it is a matter of absolute astonishment that this Government would choose to set that revenue aside, to utterly set aside any notion or concept of taxation fairness or transparency to defend the indefensible and cling at red herrings." She said Sinn Féin will be opposing the motion when it comes to the Dáil next week. Fianna Fáil's front bench spokesman Billy Kelleher has said he hopes the Government handled the appeal of the Apple taxation issue better than it has handled matters in recent days, saying it has been "shambolic". He said this is an issue of national importance and of the integrity of our taxation system which the international community is watching. Deputy Kelleher said he could not understand how the Government was not prepared for the commission's finding as it had been known for sometime the investigation was underway. He also said for Independent members of Cabinet to be threatening not to support the Government on a matter of such national interest was wrong. Mr Kelleher said the recall of the Dáil gives TDs a chance to air their views. RTÉ Europe Editor Tony Connelly looks at the Apple ruling and the possible impact of a similar case involving Spanish bank Santander.